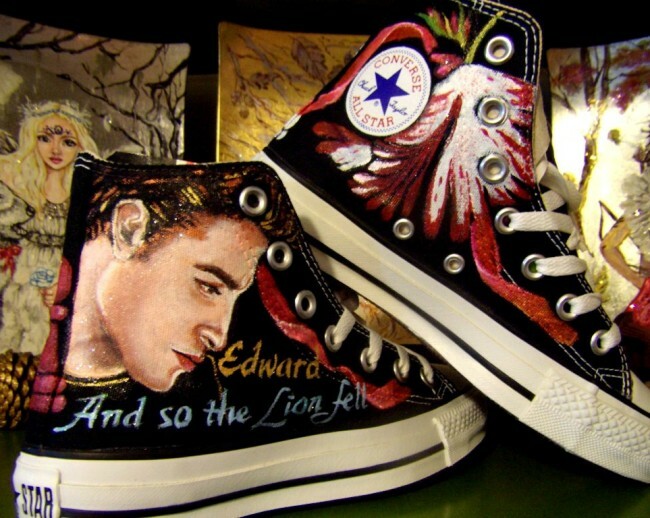 Okay well maybe need is a bit strong but these hand painted Converse are sooooooooo cool! I would totally sport these cause you know, a girl can never have too many Chuck Taylors! And who isn't in love with the Twilight love story? Even if it's secretly! Come on you know you love them! Check out the talent in this lovely etsy shop! That's funny, I put some Twilight shoes from this person on my blog a few months back. Can't wait for Eclipse, I thought it was the best book. 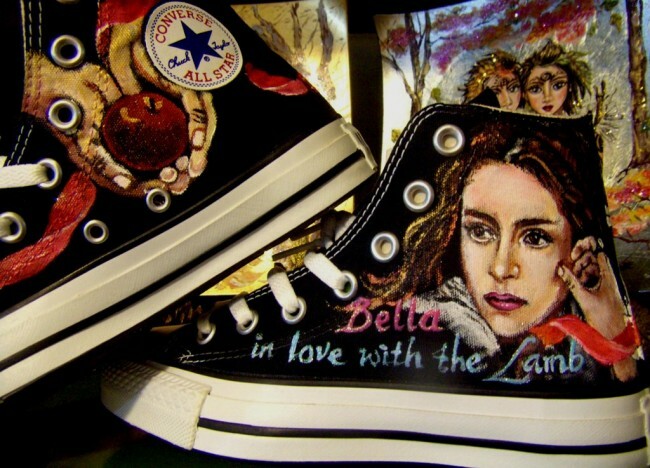 ooh...I need these to wear to the premiere of Eclipse!